Feb. 13, 2015, 9:16 a.m. Feb. 13, 2015, 9:16 a.m. The winner of our My First Wheels blogging competition has been announced. 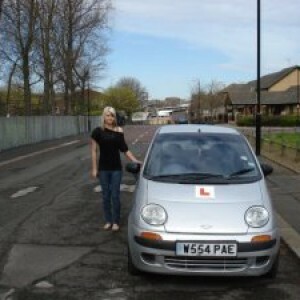 Jennifer Storey was chosen for her blog about her first car, a Daewoo Matiz, so well done Jennifer! Jennifer was chose by our impartial judge, Catherine Lawler, who is a motoring journalist for the Warrington Guardian as well as web editor for the Newsquest Cheshire group. Catherine said: “All of the entries were of an excellent standard and I really enjoyed reading them! “It was clear how passionate people felt about their first set of wheels and lovely to hear about all of the adventures they had with their cars. “It also made me smile to hear about how many entrants named their first cars (I remember my own first car was called Tabitha!) and to read about driving before the days of power steering and DAB radio – I admit that I also recall tape cassettes (now I’m showing my age). “Her piece immediately grabbed my attention and her writing sparkled throughout. 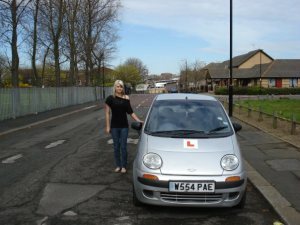 “It was also very humorous and I particularly liked the line about how her Daewoo Matiz sent her street cred from 60-0 in 3.5 seconds. “Although I admit to rolling my eyes a little when I see the ‘Powered by Fairy Dust’ stickers in the back of cars, it was clear that she had real affection for her first car and that this was the start of a happy relationship with the motoring world. Jennifer will now be presented with a Silverstone head-to-head driving experience with over-night stay. We hope to run another blogging competition again soon, so keep an eye on our Facebook and Twitter pages.